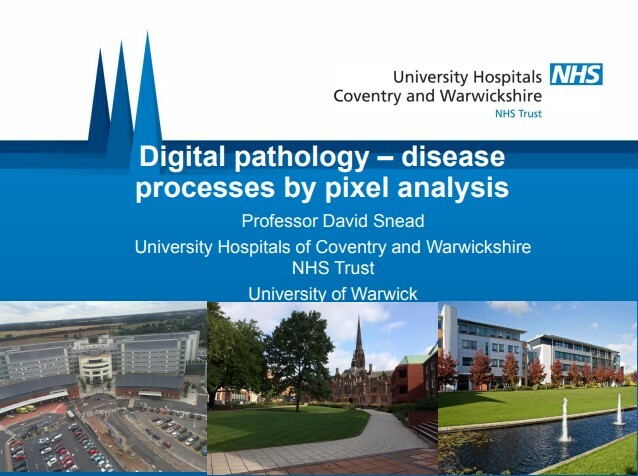 David Snead is Consultant Histopathologist and Clinical lead for Coventry and Warwickshire Pathology Services (CWPS), a network of labs hosted by University Hospitals of Coventry and Warwickshire NHS Trust. As head of the UHCW Digital Pathology Centre of Excellence, he is now heavily involved in the Pathology image data Lake for Analytics, Knowledge, and Education (PathLAKE). In 2018, it was announced that UK Research and Innovation (UKRI) would award £10m funding for the PathLAKE project as part of the Industrial Strategy Challenge Fund. nment will fund both research and industry to develop innovative products and services which increase the earliness and efficiency of diagnosis. Firstly, to develop two exemplary projects and put them into practice in order to develop tools which benefit pathologists. The first project aims to demonstrate the efficiency of computer-aided diagnosis of pathology samples. The second project proposes to develop new AI tools which advance identification of biomarkers related to chemotherapy response and disease surveillance. Some of the reporting may involve automation, as well as improved diagnostics in a number of cancer sites, particularly prostate and breast cancer. Secondly, to develop a data lake of high-quality whole slide image data which is made accessible both to research communities and SMEs within the UK: high-quality data, which entrepreneurs and scientists want to get to, providing new tools of benefit for both the economy and the health service. The third is to provide some know-how about making that happen: an outward facing approach where expertise in pathology, digital pathology, and computer analytics is shared. Also on the commercial side, design and product planning; bringing products through from research lab to a research programme and then clinical trials programme, which makes them fit for use in clinical practice. There are lots of important things to get right quite early on in the development pathway of these new products, and the consortium aims to be able to offer advice to those communities. PathLAKE have therefore been in conversation with regulators from early on in the development of the PathLAKE plan. The three-year projects are hosted by the new UHCW Institute of Precision Diagnostics and Translational Medicine and is working in partnership with the University of Warwick and Phillips. A new Centre for Artificial Intelligence is based at University Hospital Coventry. We were delighted to be joined by David Snead at the 5th Digital Pathology & AI Congress: Europe. David participated in the panel discussion at the congress. All six parts of that discussion were published on our blog, and you can find the first instalment here. Alongside this, we enjoyed his presentation ‘Digital pathology – disease processes by pixel analysis’. Digital whole slide imaging (WSI) allows pathologists to use computer workstations for routine diagnostic work, facilitating the adoption of computer algorithms to assist the diagnostic process. This has coincided with developments of convoluted neural networks and machine learning, delivering remarkable advances in artificial intelligence. A new era for histopathology beckons, where widespread adoption of algorithms to improve and standardise the reporting of diagnostic samples is anticipated. Some applications are obvious from known problem areas of interpretation and standardisation, others less so. We are delighted that David’s overview of developments involving AI so far, and likely developments in the future, can be viewed through the links below. David Snead covers a brief overview of the development of AI applied to digital pathology to date and highlights some recent high profile studies to provide insight into likely developments in this field. 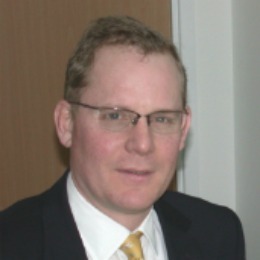 David Snead is Consultant Histopathologist and Clinical Service Lead, Coventry and Warwickshire Pathology services. Our next Digital Pathology event is the 5th Digital Pathology & AI Congress: USA. 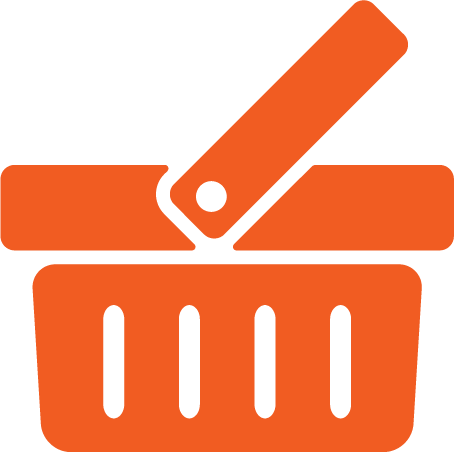 To view the range of cutting edge topics and expert speakers, download the agenda here.